Indigenous ways of understanding and interacting with the natural world are characterized as Traditional Ecological Knowledge (TEK), which derives from emphasizing relationships and connections among species. This book examines TEK and its strengths in relation to Western ecological knowledge and evolutionary philosophy. 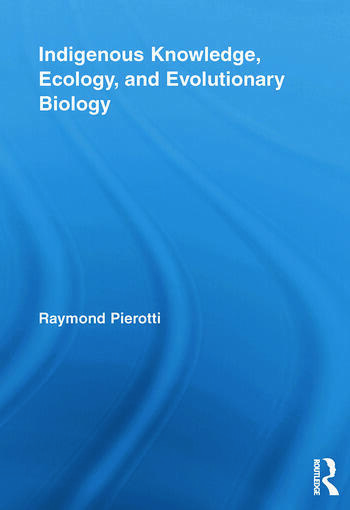 Pierotti takes a look at the scientific basis of this approach, focusing on different concepts of communities and connections among living entities, the importance of understanding the meaning of relatedness in both spiritual and biological creation, and a careful comparison with evolutionary ecology. The text examines the themes and principles informing this knowledge, and offers a look at the complexities of conducting research from an indigenous perspective. Raymond Pierotti is Associate Professor, Department of Ecology and Evolutionary Biology and Global Indigenous Nations Studies at the University of Kansas.